We are pleased to announce that Mango is now offering an app of their foreign language program for iPhone, iPod touch, and iPad. Get free access to more than 34 foreign language courses and 14 English as a second language courses in the palm of your hand with your Hamden Library account. 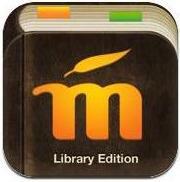 Just visit the iTunes store to download the Mango Languages app. Mango makes learning a new language fast, easy, and incredibly effective! You will need create a user login on the web-based version of Mango before you can use the app. To get started, the Hamden Library's Mango Languages database. After entering your library card number, create a Mango account (email address and password), then use that email address and password to log in to the app. Android, Blackberry, and other mobile users may use the Library's web-based version of Mango Languages with their device's web browser.